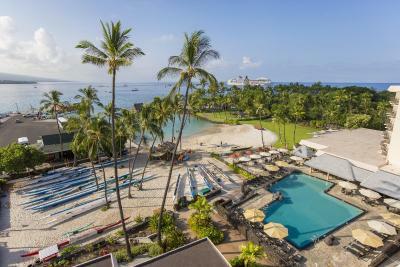 Lock in a great price for Courtyard by Marriott King Kamehameha's Kona Beach Hotel – rated 8.1 by recent guests! The staff was very friendly. The pool bar was great. 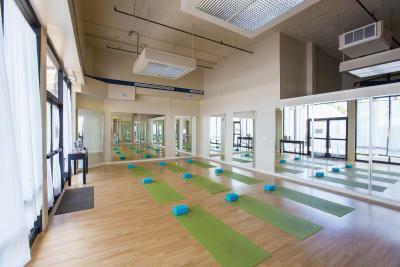 Plenty of amenities to keep an entire family busy. Pretty much anything you need on the property! Target super close. Kona brewing Co near by! First and foremost the staff in the whole hotel was amazing!!! We felt as if we were with friends and family during our whole stay. The service was amazing!!! The food was awesomazing! We went to a couple of different restaurants on the strip but felt much more at home just staying put in the hotel. They have everything you need and want without having to drive anywhere. We will definitely go there everytime we visit kona. Thank you all for the best mini vacay we've ever had since moving to hawaii. Aloha!!!! 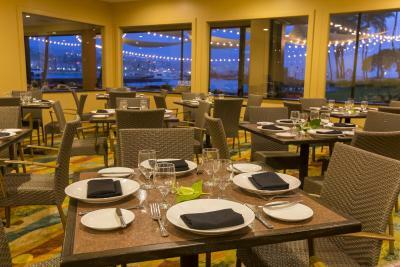 The location was great, breakfast was of a high quality, the front desk and concierge staff were amazing. The public areas were well appointed and the pool was very nice. The beach was a little small and right in the harbor, but still enjoyable. The location was great for many activities and restaurants. The on-site activity vendors were great too. The breakfast buffet was excellent. Friendly staff, excellent service. Did not get breakfast at the hotel. Found out it was not included in the rate we were quoted. Multiple breakfast spots within walking distance that have great menus. Crab eggs benedict, Portuguese sausage, great muffins and pancakes. The AC in the hotel lobbies and similar areas was too cold. 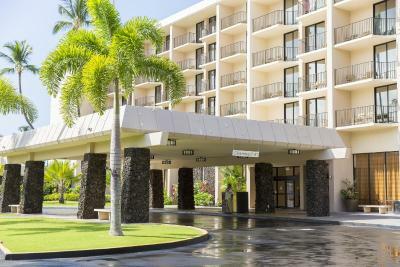 Courtyard by Marriott King Kamehameha's Kona Beach Hotel This rating is a reflection of how the property compares to the industry standard when it comes to price, facilities and services available. It's based on a self-evaluation by the property. Use this rating to help choose your stay! 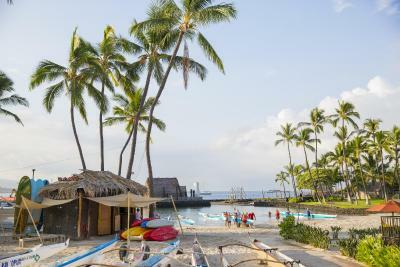 One of our top picks in Kailua-Kona.Featuring 2 onsite restaurants, Courtyard by Marriott King Kamehameha's Kona Beach Hotel offers rooms with a flat-screen TV and a balcony. 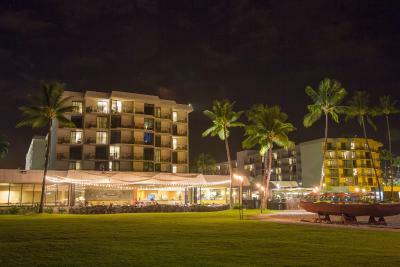 The Kona Beach Hotel is within 5 minutes' walk of the Hulihe`e Palace Museum and has seasonal Luaus. 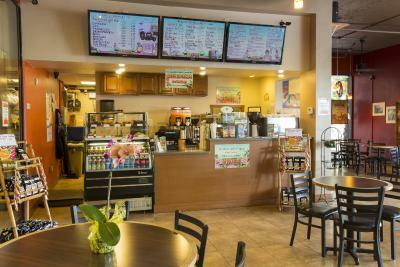 The rooms include a refrigerator and a coffee machine with Kona coffee, as well as air conditioning and an in-room safe. 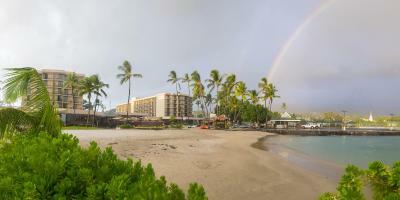 The King Kamehameha’s Kona Beach Hotel rooms are modern with island and nature inspired décor. 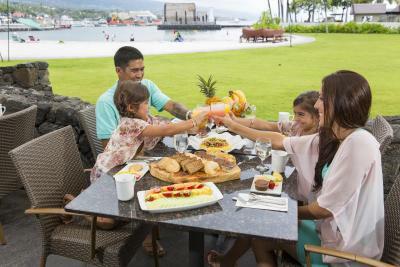 Honu's on the Beach Restaurant is open daily for breakfast and dinner. The Billfish Bar is located near the pool and features refreshments and a light menu. Guests can shop in the air conditioned mall on the ground floor of the hotel. 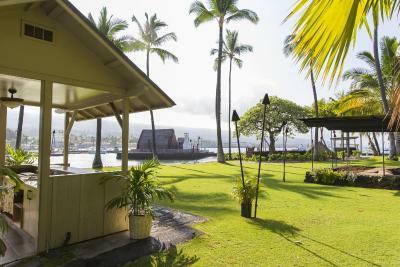 The King Kamehameha’s Kona also has a tour desk and activities desk with information on activities and events in and around the hotel. King Kamehameha’s Kona Beach is within 1 minutes' walk of Atlantis Adventures Kona, an underwater tour. The Old Kona Airport State Park is within 15 minutes' walk of the Courtyard by Marriott King Kamehameha's Kona Beach Hotel. 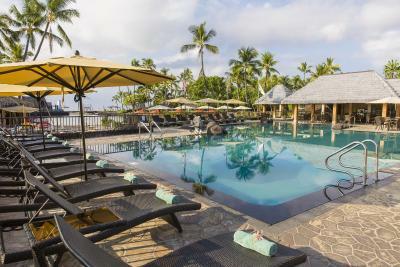 When would you like to stay at Courtyard by Marriott King Kamehameha's Kona Beach Hotel? This room features a balcony, flat-screen TV and fridge. This room features a balcony with partial ocean view. Featuring a balcony, this room offers free WiFi and resort fees do not apply. Featuring a balcony, this room offers a plush sofa and free WiFi. Resort fees do not apply. Featuring an oceanfront balcony, this room provides a flat-screen TV and fridge. Featuring a balcony, this room includes flat-screen cable TV and an private bathroom. Featuring a balcony, this room offers free WiFi. Resort fees do not apply. 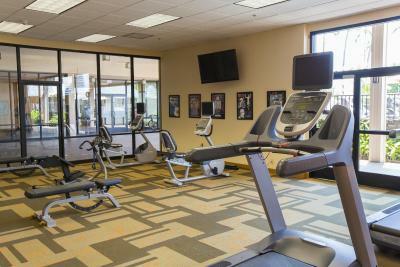 Whether traveling for business or fun, Courtyard by Marriott® makes all of your travels successful by providing exactly what you need: spacious, thoughtful guest rooms; a hot breakfast buffet and services that help you be more productive and comfortable. 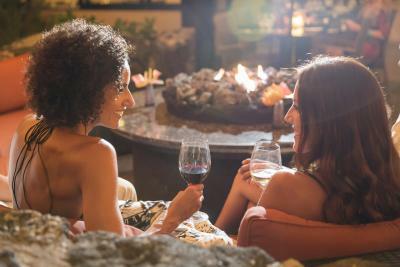 House Rules Courtyard by Marriott King Kamehameha's Kona Beach Hotel takes special requests – add in the next step! One child or adult is charged USD 20 per person per night in an extra bed. Courtyard by Marriott King Kamehameha&#39;s Kona Beach Hotel accepts these cards and reserves the right to temporarily hold an amount prior to arrival. Courtyard by Marriott King Kamehameha's Kona Beach Hotel accepts these cards and reserves the right to temporarily hold an amount prior to arrival. Select room rates that include breakfast provide a breakfast buffet for up to 2 adults staying in the same room. Extra beds or cribs are based on availability and should be requested at the hotel reception. The couch pull out bed was horrible. Cheap spring mattress with no cover was so uncomfortable. We had asked for an extra pillow and comforter but no one brought us one after requesting twice. I think the main matress should have had a mattress cover on it for sanitation reasons. Staff at this place are horrible. Manager use following words multiple times. ‘This is what it is’ No help whats ever calling front desk is not successful at all. Call multiple times and no one picks up. This would be last time I would be staying at Marriott property. Lack of free parking facilities. The gorgeous bay that the hotel was located on. We arrived at 3 am in the morning due to a delayed flight. The staff were understanding and provided us a late checkout at no extra cost. The cleaning staff was so helpful. The desk accommodated my need to check in early because we were diving that afternoon. Good spot. The hotel is a bit dated and the rooms aren’t quite what the pictures show but still very clean and comfortable. The location is ideal. There’s a sandy beach that you can swim and snorkel at. The beach is sheltered so safe for all ages. The pool is nice when you want to relax. Many restaurants within walking distance. I booked the wrong day and could not cancel so I ended up paying for 2 nights even though I only stayed one. No light on the balcony. Only 2 chairs in room meant to accommodate up to 4 people. Bathroom very small. Rooms were slightly outdated, but not unexpected.